Crowns are synthetic caps that are created from a material similar to porcelain. This is placed on top of the tooth and typically restore its function and appearance. Crowns are applied following a restorative procedure such as root canal. 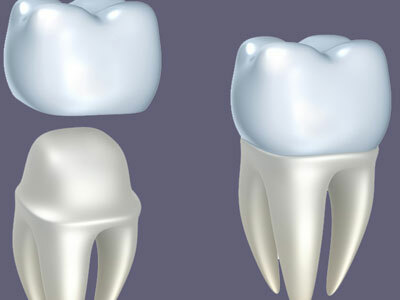 When large portions of a tooth have been removed, the crown is used to restore it. They can also be used to attach bridges, protect implants, and prevent worsening of cracked teeth. They can also help conceal discoloration or stains. The tooth will be reduced in size to accommodate the crown. A cast will be created from existing tooth and an impression is fabricated. The impression will be used to help manufacture the custom crown. Once the permanent ones are ready, they are cemented into place. A high quality crown can last for up to eight years or more with the proper care and maintenance. It is essential to floss around the area of the crown to prevent the buildup of excess plaque or debris. Constant jaw clenching or bruxism (teeth grinding) can shorten the life of a crown. Additionally, eating brittle foods or hard candy can compromise the crown, even causing damage. 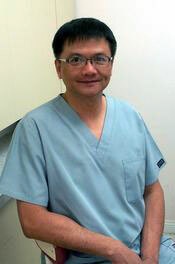 For information on caring for your crowns, contact our Upland office and schedule an appointment with Dr. Chiang.